You may have read my Friday column “Home from Home” in the Suburban Times. But have you also ever read one of my Wycliff novel series? Here is another opportunity for you to meet me, have a chat, and get yourself a signed copy of my very latest book, “Clean Cuts”. 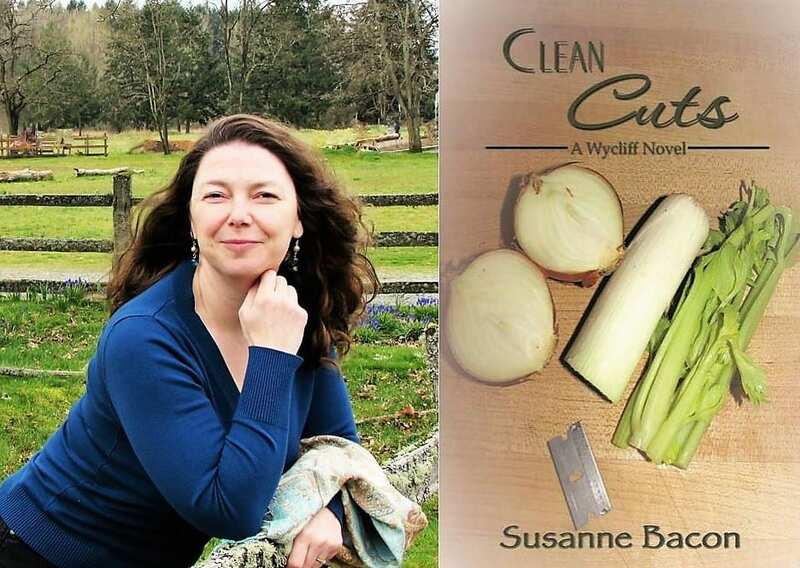 Come and get yourself a signed copy of “Clean Cuts”, my latest Wycliff novel. As all my previous books, this one is also set in a fictitious town on the South Sound, somewhere between Olympia and Seattle. The protagonist is a chef who has been recently injured so badly he has ended up in a wheelchair. Of course, his restaurant is in danger of going downhill without its imaginative executive chef. On another note, as a paraplegic the chef doubts whether he is husband material for his girlfriend anymore. And a friend of the both who travels thousands of miles to come to the rescue brings along his own bundle of problems. Wycliff novel fans know, of course, that there is a happy ending in store for the reader. Foodies will get their fill of insights into the European cuisine as well as some recipes in the back of the book. So, come and see me at the Steilacoom Historical Museum Association’s (SHMA) at the Christmas Store (1801 Rainier St., Steilacoom, WA 98499) on November 17. I’ll be signing my books there from 1 through 3 p.m. It’s a fun opportunity to find your Christmas gifts and get yourself into a festive mood. See you there!